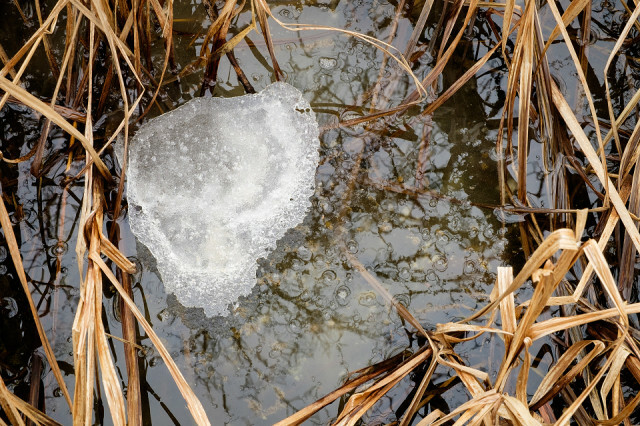 On another overcast day I found this patch of ice in amongst the reeds and shooting down I surrounded it with reflections of branches from overhead. The bubbles from decaying matter down below are caught in the ice adding to the interest. A rich palette of greens, browns and yellows contrast with the gray of the ice as does the difference in textures.